1031 Exchanges, also known as like/kind exchanges, are a way for property owners who are buying or selling to defer some tax liability. While these exchanges can be a great option for some, they can also be a confusing process. 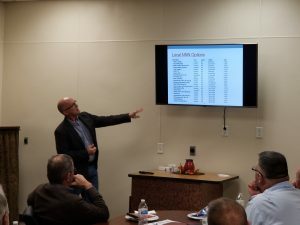 On November 13, our Nebraska Home Sales – York office hosted their first 1031 Exchange Lunch and Learn. This hour long class brough individuals from in and around York to learn more about the options and basic rules of 1031 exchange. 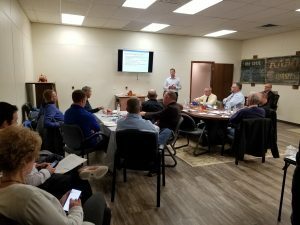 Attendees heard from Certified Public Accountant, Damian Shotkoski, of Shotkoski & Associates, Broker, Steve Arens, of NHS Commercial (our sister commercial brokerage), and Wally Byrne, Financial Planner, from Edward Jones. 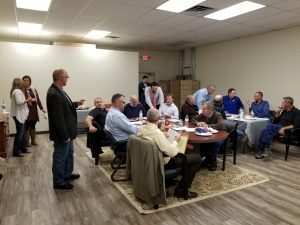 Each speaker brought different insight to the 1031 Exchange process, as well as the different options available to those interested in the process. If you are interested in learning more about 1031 Exchange options, or attending a future 1031 Exchange Lunch and Learn, contact Steve Arens, Broker/Owner of NHS Commercial at (402) 417-8980.